I Am, originally released in 1979, features “Boogie Wonderland” (featuring the vocals of The Emotions), which became one of the most popular disco and cross-over hits of that time. The hit ballad “After the Love Has Gone” did well too. Afraid to be labelled ‘Disco band’, Verdine White of Earth, Wind & Fire stated ‘we might have partied, but we didn’t dance!’. I Am is a good testimony to the solid combination of the band’s vocal strength and instrumental backup! Earth, Wind & Fire, the R&B-Pop-Soul band from Chicago, have produced quite a number of hits during the 1970s and early 1980s. The biggest hits were “September”, “Boogie Wonderland”, “After the Love Has Gone”, “Let’s Groove”, and “Fantasy”. Having sold over 90 million albums worldwide and winning 6 Grammy Awards, the African-American band is ranked on the list of best-selling music artists. 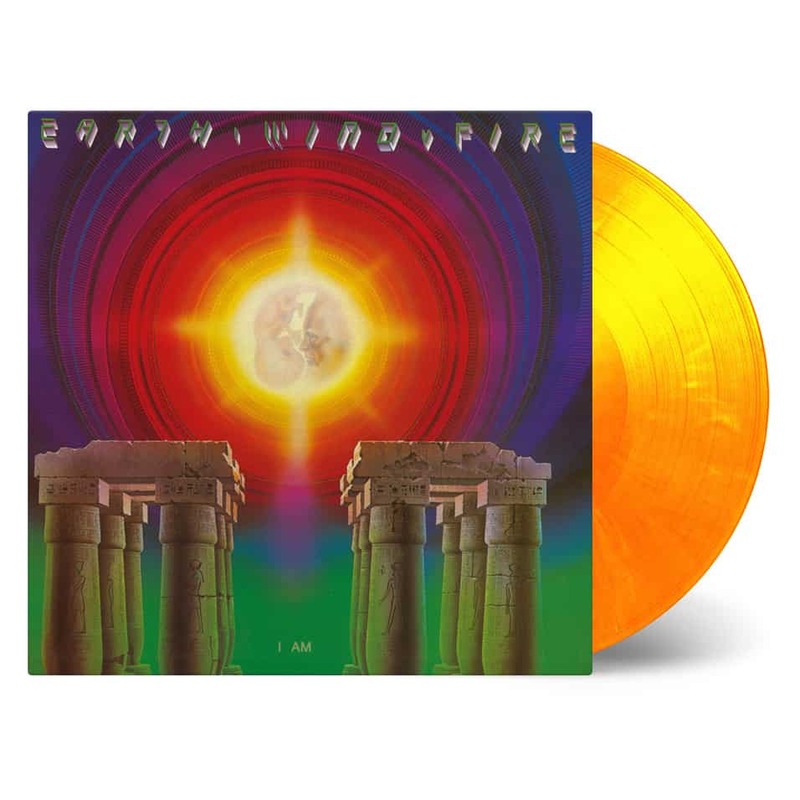 Main musical elements of EWF, led by founder Maurice White, are African and Latin American influences, mixed with Funk, Soul & Pop with hints of Rock and Jazz. I Am is available as a limited 40th anniversary edition of 2000 individually numbered copies on flaming (yellow & orange marbled) vinyl.